Live Fire 550 FireCord - Olive Drab 25 Ft. | BUDK.com - Knives & Swords At The Lowest Prices! 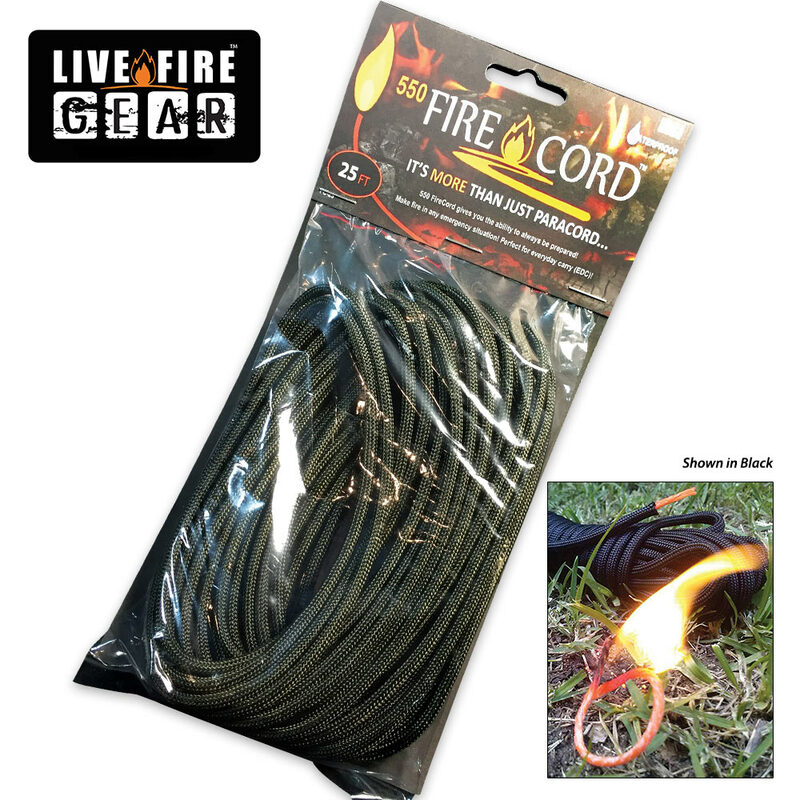 Live Fire 550 FireCord - Olive Drab 25 Ft. Imagine if you could also use your paracord as fire tinder. The 550 FireCord by Live Fire is the next evolution in outdoor gear preparedness and the fire preparedness solution that will ensure you are always prepared! 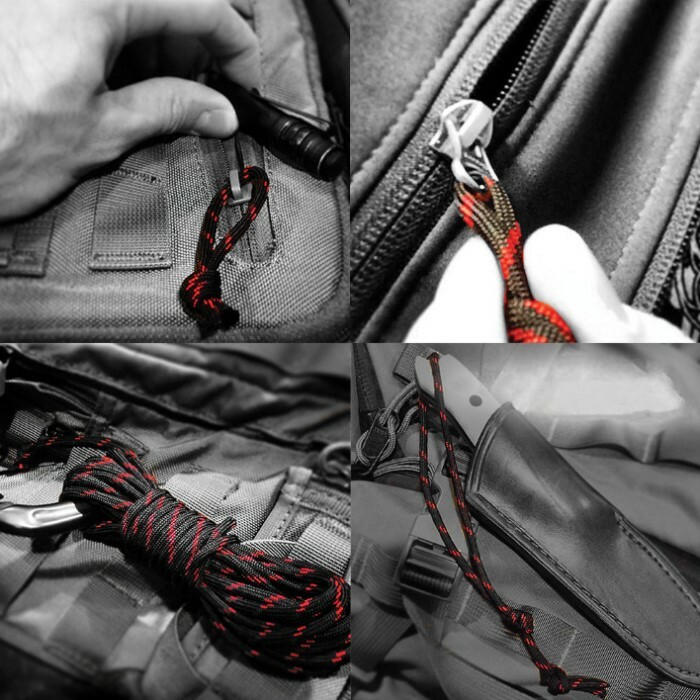 Paracord has been the standard go-to for most cordage needs as it has tons of utility - from zipper pulls and handles to lanyards and lashing. So why not give it further purpose? 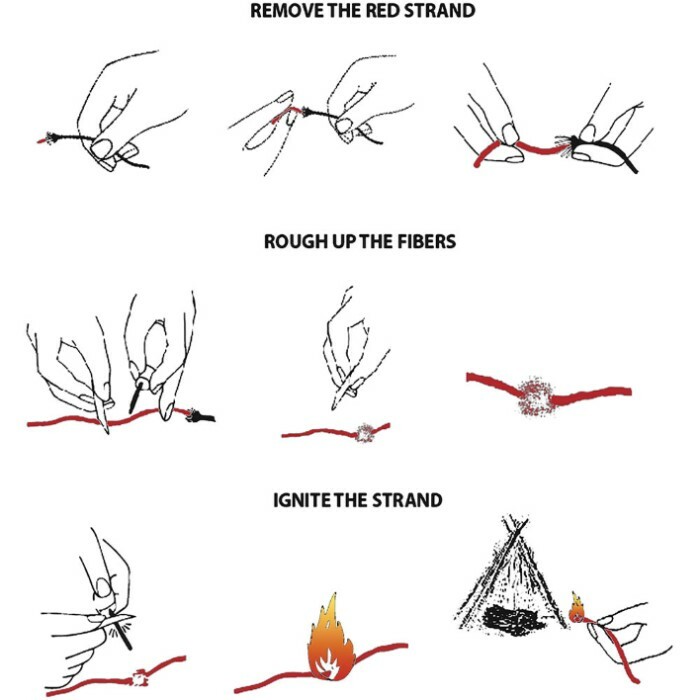 When you need the fire tinder, simply remove the inner strands, light just like any fire tinder and build your fire.